Invisalign® Express: What Is It and How Does It Work? When it comes to treating crooked teeth, Invisalign® has become one of the most popular options available. Rather than relying on braces with brackets an wires, Invisalign® uses clear plastic aligners that gradually straighten the teeth. Hard to detect and easy to wear and clean, Invisalign® is ideal for teens and adults who want straight smiles. Sometimes patients don’t need full orthodontic treatment to address their malocclusion. In these cases, the team at our Woodinville, WA practice may suggest Invisalign® Express instead. Let’s explore this faster version of Invisalign® in a bit more detail. Invisalign® Express is a version of traditional Invisalign® that is designed for very minor cases of tooth misalignment. This could mean small gaps or spacing issues, or teeth that are only a little bit crooked. Patients still wear their Invisalign® Express aligners just as they would their traditional Invisalign® aligners: worn at all times save for when eating, drinking, or cleaning the teeth, with a new aligner issued out every two weeks. Invisalign® Express uses fewer aligners in treatment than traditional Invisalign®. 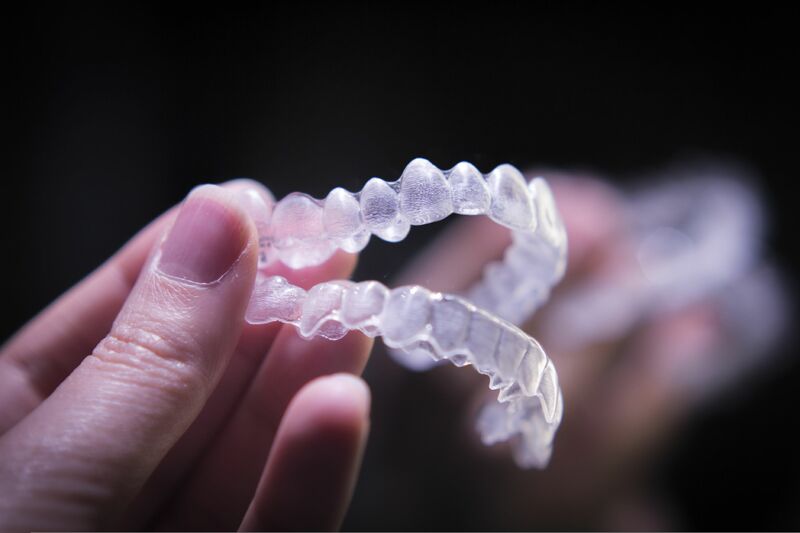 While normal Invisalign® may need 20 to 30 aligners to improve the alignment of a patient's teeth, Invisalign® Express only need about 10. Overall treatment times with Invisalign® Express can be as little as six months. Candidates for Invisalign® Express are people who suffer from minor malocclusion issues related to the spacing or position of their teeth. These issues should be significant enough that they cause dental health problems rather than just aesthetic issues alone. During a consultation, your dentist can determine if Invisalign® Express is ideal for you or if more advanced orthodontic procedures are better suited to address your needs. Great for Minor Orthodontic Treatment - Rather than undergoing full orthodontic care, Invisalign® Express allows patients to undergo brief, minor orthodontic treatment comfortably and effectively. Invisalign® Express Aligners Are Hard to Notice - When Invisalign® Express aligners are in place, they are very difficult to notice. This is another key advantage shared by regular Invisalign® treatment. No Interruption of Your Daily Routine - While undergoing Invisalign® Express treatment for a few months, you can still eat your favorite foods and won’t experience additional hassles when brushing, flossing, and doing normal oral hygiene. Less Expensive Than Traditional Invisalign® - Since there are few aligners required in Invisalign® Express, patients will pay less for this treatment than they would for a full-fledged Invisalign® procedure. Is Invisalign® Express Right for Me? The best way to find out if Invisalign® Express is right for you is to visit our practice in person for a consultation. We can examine your teeth and offer an honest assessment of your dental alignment issues. If Invisalign® Express is too drastic for your minor misalignment issues, we can propose various cosmetic procedures that can address your spacing issues, such as porcelain veneers or even dental crowns. To learn more about Invisalign® Express and whether or not it’s a good option for you and your needs, be sure to contact our team of dental health experts today. We at Signature Smiles will be more than happy to answer your questions and address your concerns in greater detail during your visit.